After initial construction of this outdoor classroom, the regular maintenance required will be at a minimum level. 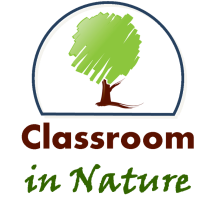 Weekly or bi-weekly maintenance will include cutting the grass in the classroom area as well as through the nature trail. Any plants growing in the grass area of the outdoor classroom and any fallen sticks will need to be removed on a weekly basis. Also, the crushed stone trail leading from the school to the outdoor classroom will need to be maintained by regularly removing weeds (every couple weeks) and checking it to make sure it is a smooth pathway (every week). This means if any divots or trenches form in the pathway, they need to be re-filled with the same crushed stone. The flower beds within the outdoor classroom will consist of native perennial flowers, requiring minimal maintenance. These flowers should not need to be watered, but may be mulched once a season if needed. Students can help with mulching and cutting off dead-heads of the flowers to harvest seeds – this could be made into a science lesson. Other than that, the naturalized understory growth area will need minimal maintenance – as this is supposed to simulate a more natural, less-built setting. Although, this area should be regularly (every few weeks) checked for poison ivy, sumac or other poisonous plants, just in case any students wander off the cut grass too far. Hopefully the trees in the tree/brush area will already be established and saved during the construction of the outdoor classroom. If new trees are planted, they need to be planted correctly and watered regularly to make sure they establish fully. Also, all the trees in the area need to be trimmed of any dead, diseased, or broken branches, as to make sure no accidents or injury occur.